Anna Kanopatskaya of the United Civic Party and Elena Anisim, who ran as an independent candidate, were the only opposition candidates to be elected to the 110-seat House of Representatives, the lower chamber of the Belarusian Parliament. But this is the first time since the election in 2000 that the lower chamber of the Belarusian parliament will include opposition politicians. “Kanopatskaya’s victory was not completely unexpected”, says Matthew Frear, Assistant Professor at Leiden University, specialising in Belarusian politics. Anyway, it was the authorities who decided that it was time to let at least one opposition candidate win a seat. A clear sign of “window dressing” for the benefit of the West, according to Frear. Andrei Kazakevich from Political Sphere confirms this impression: “It was not a choice of the people but a political decision.” He adds: “Yermoshina announced that Kanopatskaya had been elected before the results in other districts were announced.” But on the other hand the regime also wanted to “neutralise” those who criticise the lack of democratisation and human rights activists, especially the OSCE. The outcome of the election has had an impact on the view of the OSCE/ODIHR observation mission. “We note that, for the first time in 12 years, some members of the opposition will be represented in the parliament. However, the legal and constitutional framework limits public space for debate and did not provide voters with the opportunity to make an informed choice“, says Ivana Dobesova, Head of the OSCE Parliamentary Assembly delegation. Nonetheless, “it remains clear that Belarus still has some way to go to fulfil its democratic commitments“, sums up Kent Harstedt, Special Co-ordinator and leader of the short-term OSCE observer mission. As such, the authorities have not abandoned repressive practices against their political opponents (http://elections2016.spring96.org/en/news/84963). Uladzimir Labkovich of Viasna stated that early voting in particular “became a marathon of falsification”. BHK head Aleh Hulak added that the voter numbers provided by election commissions and independent observers “differed in fantastical dimensions”. The official turnout was 74.3 percent, but unofficial figures are likely to be much lower, as highlighted already in the early voting. Another noteworthy fact of the result of the parliamentary election is the high growth of party affiliated deputies on the pro-governmental side. In the last parliament only five deputies were party members, compared with fifteen in the new one: eight from the Communist Party of Belarus, three from both the Belarusian Patriotic Party and the Republican Party of Labour and Justice, and one from the Liberal Democratic Party. The rest of the 93 elected deputies ran as non-partisan. Political Scientist Frear does not think that “many parties in the parliament will move Belarus closer to a party system”. Valer Karbalevich from the think-tank Stratehija admits that “a new game, an experiment” will start now, because the new parliament is actually a parliament of single speakers rather than of political forces. Furthermore, the parliament has been rejuvenated: “The number of deputies between 40 and 50 years old has increased by about 15%, while the 50 to 60 year-old representation has decreased by about the same amount.” Karbalevich thinks that the regime most likely wants to re-define the role of the parliament, such as by attributing new functions to it. 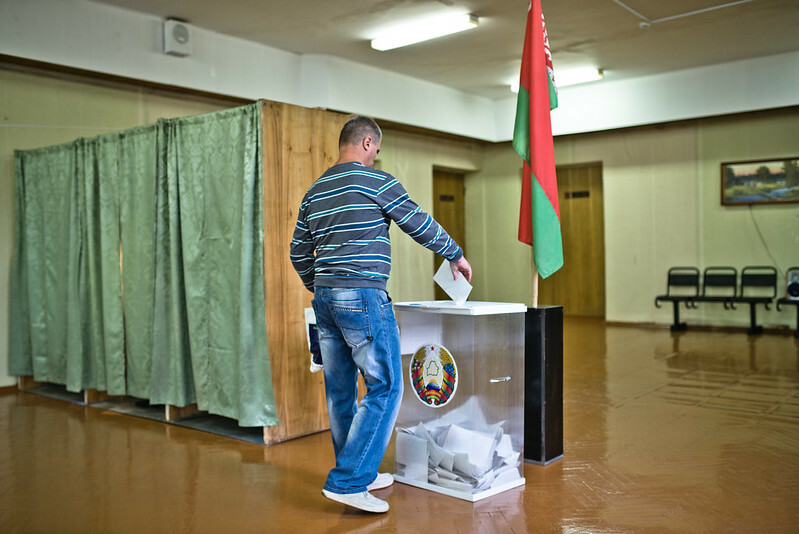 With material contributed by Hubert Gregorski, first published on “Belarus Votes 2016“.